Macan Ultimate Luxury is an interior decoration company in Lahore. 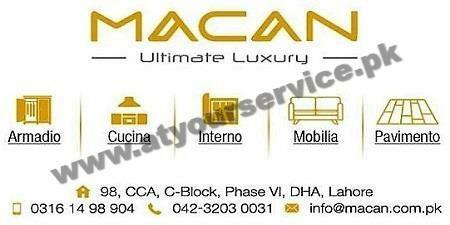 Macan Ultimate Luxury is located in 98 CCA, C Block, DHA Phase 6, Lahore. It is an interior decoration company in Lahore.